What Is Team Drumming (Team Building Event)? Led by our USA trained Drum Circle facilitators, drumming team building is the perfect activity for teams that march to the beat of their own drum, and is guaranteed to get you working in harmony. Who Is Team Drumming Popular With? Ready to bond to the beat? Start pounding the drum by giving us a call. Contact us now to receive an instant quote with detailed descriptions of activities in less then 24 Hours. I am a volunteer for the SPD, and am planning to have a drums session. However the participants will be physically disabled people. Idea for the session is to let the participants play with the drums, so as to build up the confidence that they can play some drum despite their disability. Some of the participants will have some form of restriction in their arms movement, however they shld still be able to swing the drumsticks to play music. Would like to ask for a quotation pls. 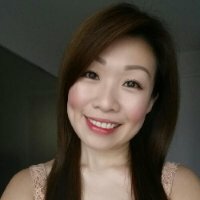 Hi Chin Soon, we will be happy to share more info. Please drop us a line at sayhello@griness.com or call at 62828547. Look forward to planning an awesome team building!